No, we’re not talking e-mail or your office mails. We’re talking about how you can receive your physical mail (letters and bills) and other packages while being away from home for extended periods of time. Like when you are traveling or away on a long vacation. Did you know the US Postal Service has a mail-forwarding service? For a weekly fee, USPS will hold your mail, package it up, and reship it to you at a given address each week by Priority Mail. The Premium Forwarding Service costs $15 to enroll and is a temporary service that can be used from 15 days up to 1 year. This way, you can continue to receive your bills, and avoid incurring late fees and penalties for non-payments. Did you know you can even use your local UPS or Fedex stores as a mailing address? In addition to the privacy you get in not putting your home address out there, the secondary benefit comes when packages delivered need a signature. Often times, packages are not delivered when the person to whom the parcel was specifically addressed to was not home to sign for it. This means having to physically visit the UPS store or call the delivery guy to come back to your house. Something you can do only once you have returned from your travels. Using a UPS or Fedex store as your mailing address, which are legally authorized to offer such services, they will receive the package and even sign for it on your behalf. The downside is, once they receive the package, it remains with them until you personally go and collect it from the store. UPS will not forward the package again. Then there’s Pak Mail, who offer mailbox rentals, mail forwarding, faxes, and even notary services. If you are an RV owner, there are several region–specific operators and RV clubs that offer mailbox rentals at RV parks and mail forwarding services to your next destination. They can even receive faxes on your behalf. What if you wish to read or see the contents of you mail/letters as soon as you get them? For that there are services like Earth Class Mail. They will accept your mail, open it, scan the letter and make the contents available to you online. This is a service that comes in very handy for receiving important letters in paper format and need them scanned and e-mailed to you. For physical goods and other packages, Earth Class Mail have forwarding options where by they will then send the package to any location you desire. Virtual Post Mail is a service where, for as little as $5 a month, users get a US-based virtual mailbox that’s secure, reliable, and easy to use. 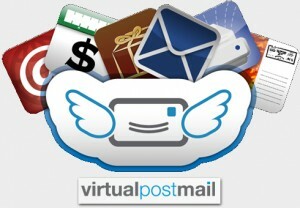 Virtual Post Mail receives the member’s mail and makes hi-res scans of its content to the member. Members can view their mail and packages in high resolution images online using only either their browser or mobile phone. 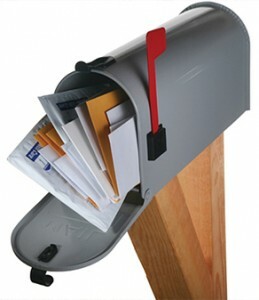 Virtual Post Mail users claim they receive fewer junk mail and none of those unsolicited mails. Virtual Post Mail can even physically send all your mails and goods in bulk. If not, they will even shred all your mails on request. As much as we love these services, GTOutcast still advice our listeners to move as many of their bills and statements to e-bills wherever possible. This way you get your bills delivered via e-mail, which can be accessed anywhere you go — and you save on trashing paper. And while you can set up many of these services even after you have left home, it’s best you do all necessary paper work and reassurances before setting off on your journey.